Step 1: Connect the stakes to the staves. I don’t call my abode the Bourbon Bungalow for nothing. 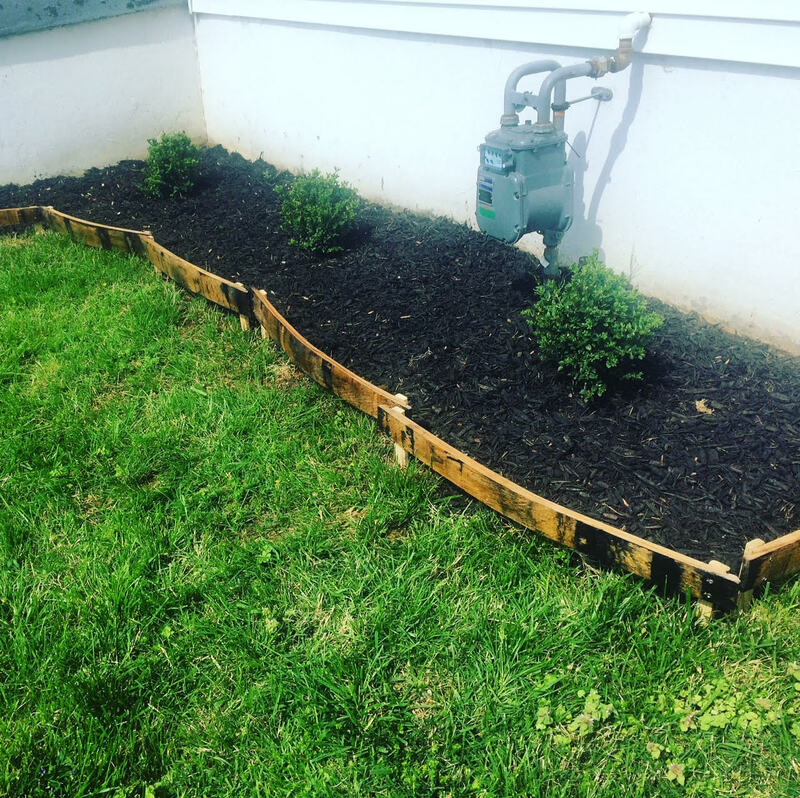 This weekend, I decided to try and create a border for my landscaping out of bourbon staves, and while it was lot of work with the power drill, I think I figured it out. So how did someone who never owned a drill until January manage to do this? Then, I just drilled two screws on each side to connect the stave and stake. 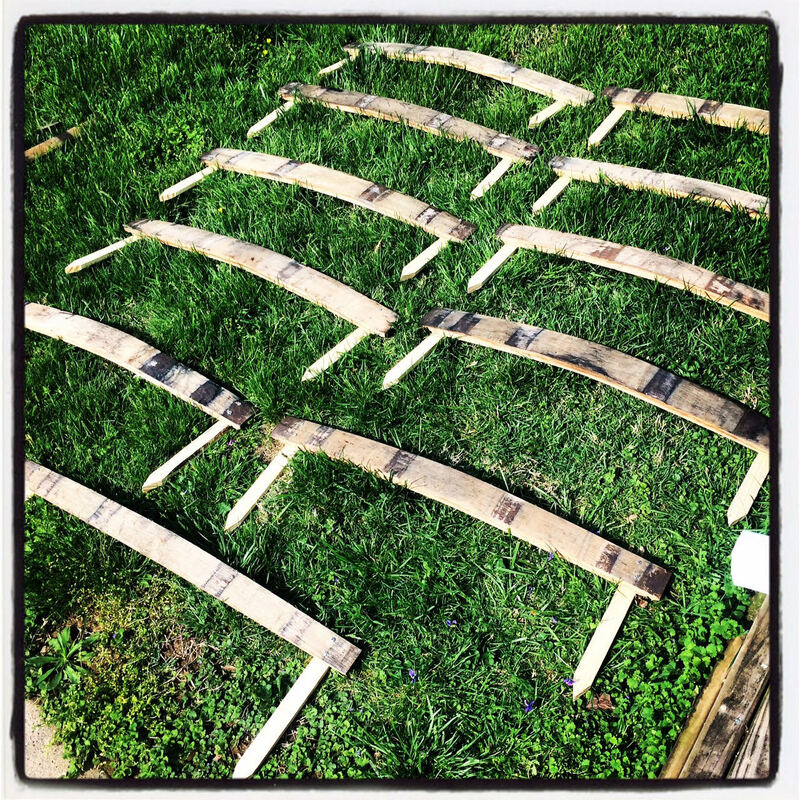 After that, I sprayed on some weather-proofing polyurethane, let them dry, and then the following morning, I gently hammered them into the ground. My neighbors seemed a bit confused and frightened at first, but I think they understood once they returned home from church and saw the finished product. “It would have been easier just to buy some bricks,” he said at one point when I was wrestling with the drill and had black bourbon char all over my face. Now, let’s just see how long they stand up to the elements.